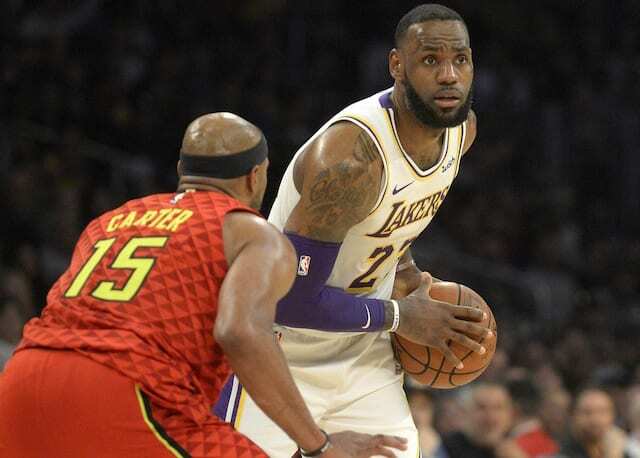 The Los Angeles Lakers wrap up a six-game road trip Tuesday night and take the court for the final time before the All-Star break when they face the Atlanta Hawks. The Lakers are looking to cap off the unofficial first half of the season by finishing .500 on their current trip. As has been the case essentially the entire season, they will need to do so without being 100 percent. Josh Hart received a PRP injection on Monday to treat tendinitis in his right knee, and has already been ruled out. Hart is due to be re-evaluated after the All-Star break. Meanwhile, the Lakers remain without Lonzo Ball as he continues to recover from a Grade 3 sprained left ankle suffered on Jan. 19. An MRI the following day revealed the severity of Ball’s injury, and he was projected to miss four to six weeks. Muscala rolled his ankle in the second half of Sunday’s loss to the Philadelphia 76ers but remained on the court. 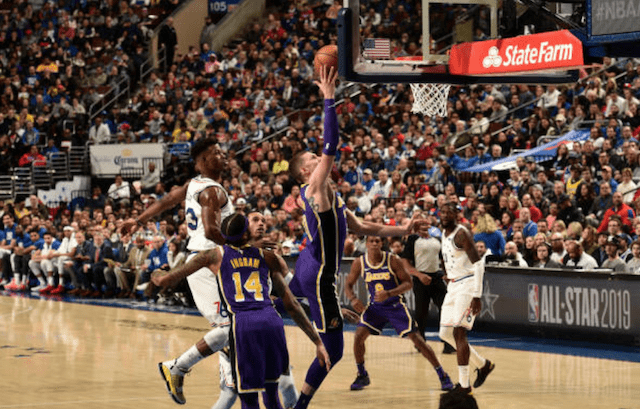 He finished with eight points on 3-for-7 shooting (2-of-5 behind the arc), to go along with one rebound and two assists in 13 minutes of his Lakers debut. As for Chandler, his role and minutes have reduced sine initially joining the team. He’s battled back soreness which has caused the Lakers to keep the veteran center out of games. Additionally, Lakers head coach Luke Walton strategically provided Chandler with nights of rest over recent weeks. Walton said he planned to speak with Chandler to outline a playing schedule that would preserve his health and help him prepare.